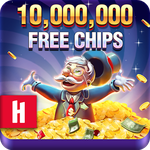 Collect Billionaire Casino slots free chips! Freebie chips available Mobile for Android and iOS. Play on Facebook! Share Billionaire Casino Slots Free Chips. Join the world’s most dedicated Slots community in Billionaire Casino by Huuuge! Play the best Slots and hit massive Jackpots, insane Wilds and more! Mobile for Android and iOS. Play on Facebook!